Hi, I am Liese and I live in South Africa. 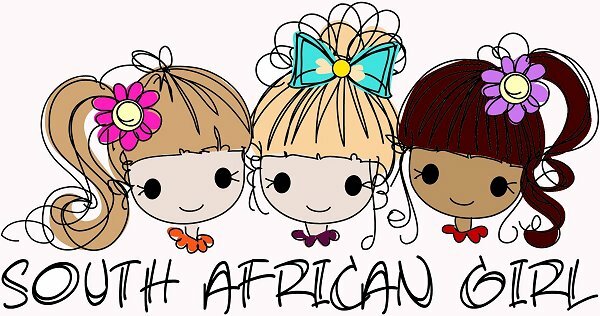 This blog is where I get to share our Doll Crafts and smart shopping for South African Girl Doll. Come and join in the fun with us and let's make stuff for dolls! Today I am bringing you more traditional drinks from South Africa. Mageu comes in different flavours and is yummy! It is made from mielies (corn). Mageu (Sotho language spelling), maHewu, amaRhewu (Xhosa spelling) or amaHewu (Zulu spelling) is a traditional South African non-alcoholic drink among many of the Sotho people and Nguni people made from fermented mealie pap. (corn porridge like gritts in the USA) Home production is still widely practised, but the drink is also available at many supermarkets, being produced at factories. 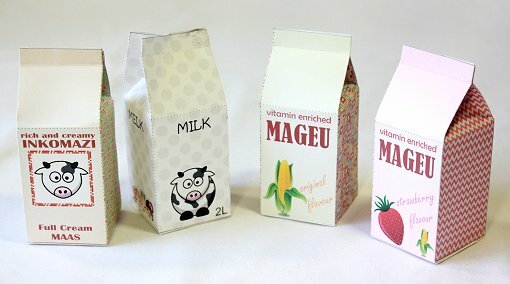 Its taste is derived predominantly from the lactic acid that is produced during fermentation, but commercial mageu is often flavoured, much in the way commercially available yogurt is. Similar beverages are also made in other parts of Africa. 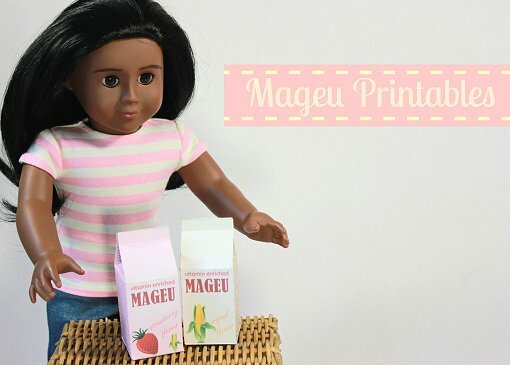 Now you can make your own Mageu for your doll's kitchen or supermarket. Be sure to download the free printable: CLICK HERE to download page. Mageu is the best traditional drink in South Africa :) love the stuff! Hi I am Liese and welcome to my blog! Soon to arive will be South African Girl... a 45cm girl doll for young girls. With this blog we will do crafts and how to make things for your dolls. It is always so much fun to learn and more so to make things that we can use for Doll Play. If you are living in South Africa I will also show you some smart shopping ideas... how to create doll play items from ordinary stuff you buy! So come join in the fun! South African Girl Doll. Picture Window theme. Powered by Blogger.